Sean Taylor has written more than 40 books for young readers. These include the Purple Class series of comic adventures set in an urban primary school, a collection of folktales from the Amazon called The Great Snake, a novel for teenagers called A Waste of Good Paper, and picture books such as Hoot Owl, Master of Disguise, illustrated by Jean Jullien, Where the Bugaboo Lives, illustrated by Neal Layton and The World Champion of Staying Awake, illustrated by Jimmy Liao. He lives in Bristol with his wife and two sons. Find Sean online at www.seantaylorstories.com. 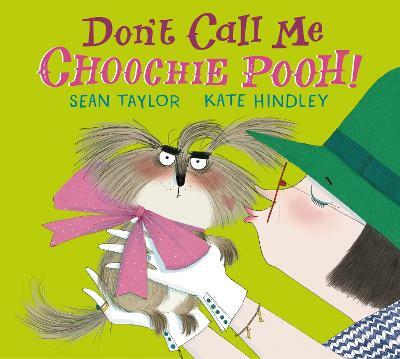 Kate Hindley is an exciting talent in the world of picture books, and is quickly becoming renowned for her deliciously detailed illustrations, and lively characterisation. After studying at the Falmouth School of Art, she has gone on to illustrate a number of picture books including How to Wash a Woolly Mammoth and Worst in Show, as well as fiction titles for older children such as the The Naughtiest Girl series written by Enid Blyton. Kate lives in Birmingham, not far from the chocolate factory. Find Kate online at www.katehindley.com and on twitter as @hindleyillos.